This time I wanted to try one of MakeupGeek’s blushes because I’ve seen many YouTubers raving about them as much as they do over MakeupGeek’s eyeshadows. After reading so many reviews I decided to buy Spellbound, which was so far everybody’s favourite shade from MakeupGeek’s blush collection. All of her blushes are available on either compacts or just the pans, which you can easily stick to your Z-Palettes. Since I already have a Z-Palette, I bought just the pan, which is also cheaper than the compact. Each of her blushes are sold at: US$9.99 for just the pan and US$12.99 for a compact. They are also Talc & Paraben Free as well as Cruelty-Free! They ship worldwide for an affordable price. As same as her regular and foil eyeshadow pans, the blushes come wrapped individually in cute cardboard packaging. These have strong magnets so they can be easily fitted into Z Palettes. 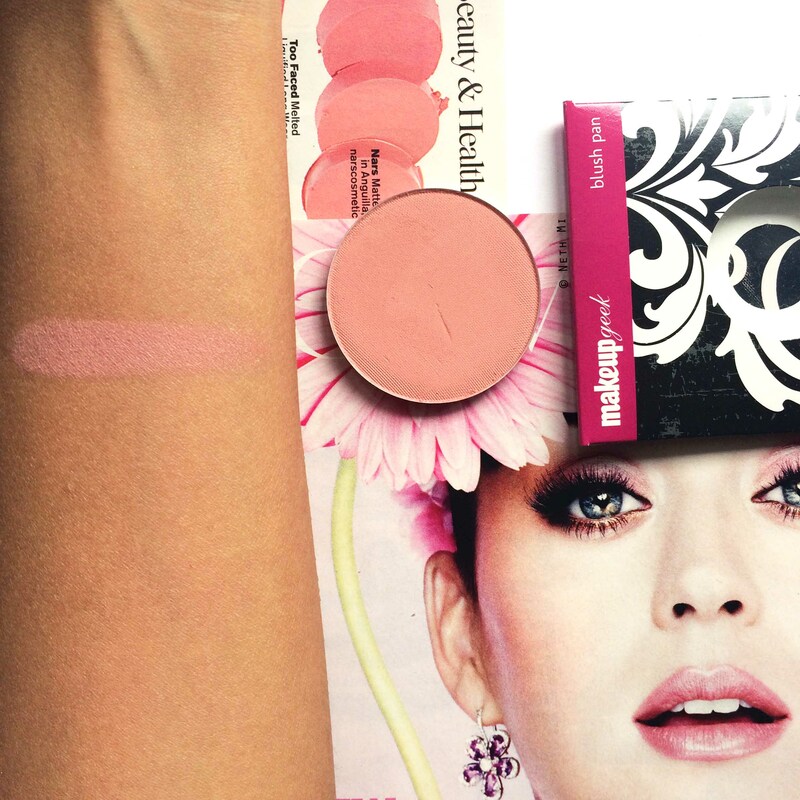 Spellbound is: A salmon pink blush with warm undertones. It is very smooth and highly pigmented, so you need very little amount of product as you go. I believe this is a universal shade that gives enough warmth and colour to your face. Which MakeupGeek blush have you got in your collection?